The i550 is defined by its rugged, straightforward approach in an easy-to-use console. The i550 is an easy-to-use, rugged and versatile dive computer perfect for both new and seasoned divers alike. Equipped with a comprehensive suite of features, including gas integration, Nitrox and Gauge modes, backlight technology and gas time remaining in an easy-to-read, large face console, it allows you to focus on your dive. 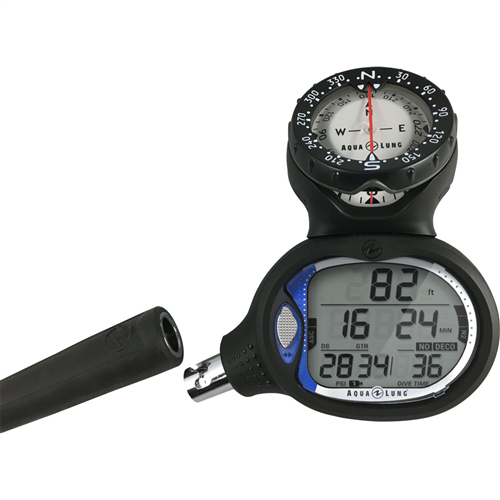 The i550 is easily customizable, with an optional quick disconnect for convenient storage and a top mount compass, making this computer the sure choice for your dive kit. 3 operating modes. 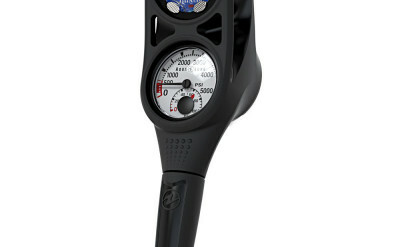 Air, Nitrox, Gauge (with run timer). User changeable battery and data retention. Maintains settings and calculations between battery changes. Gas integrated. Tank Pressure is easy to read in the large face screen. Aqua Lung's patented Gas Time Remaining Algorithm provides calculations in real time, allowing accurate gas management. Backlighting for easy reading in low light. Audible alarms and additional high-visibility LED warning light for additional safety. Pre-dive planning feature allows a preview of planned dives. User-updatable software gives access to the latest features and upgrade (must purchase optional download cable see SKU: UDRPCI550). Water-activated (turns on automatically). Automatic altitude adjustment ensures an accurate profile. 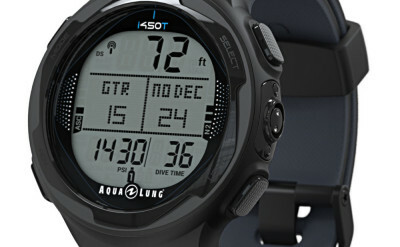 Single button access to last dive display (max depth and bottom time). History Mode includes total number of dives, max depth, total dive hours, and lowest temperature. Nitrox mix to 100% O2. Optional deep stop with countdown timer. 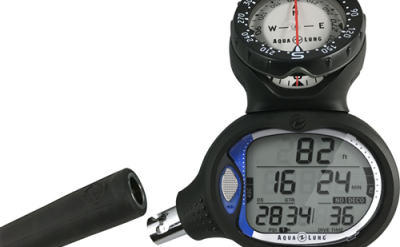 Extended Range Gauge Mode, and Salt or fresh water dive selection. Simple to use with DiverLog software on the Mac or PC platforms, which allows control of all your dive computer settings, view Log and Profile data, add location, notes and other details, as well as store and share photos & videos. DiverLog can be downloaded at ediverlog.com. Computer console comes with a quick-disconnect for convenient storage. 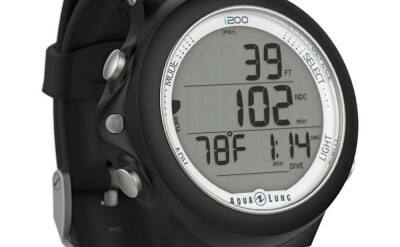 Designed with readability in mind, Aqua Lung's Compass is perfect for precise navigation under any conditions. The console mount has the additional advantage of your compass being always handy and visible. 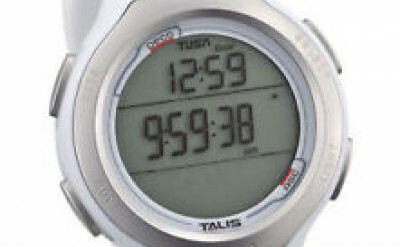 Large easy to read numbers with a large side view window allows for easy and accurate navigation. 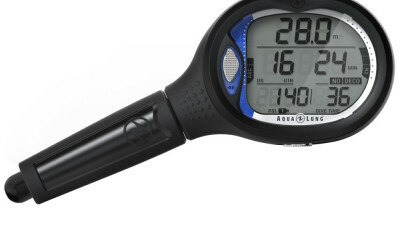 Large, secure 360° ratcheting bezel and luminescent gauge face for easy reading in low light. Fluorescent markings at 10° 20° 30° and 130° for navigation in low-light environments. Computer console includes digital instruction manual, paper safety reference, DiveLog brochure, quick reference card and lens protector.